Look to the Flicker Records label for Indie at its best. This CD pulls together their entire roster into one handy package for a great price. Sixteen great songs from Pillar, Kids in the Way, Staple, Mortal Treason, Everyday Sunday, Stereo Motion, The Swift, Subseven, Fed Up. 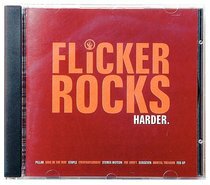 :Look to the Flicker Records label for Indie at its best. This CD pulls together their entire roster into one handy package for a great price. Sixteen great songs from Pillar, Kids in the Way, Staple, Mortal Treason, Everyday Sunday, Stereo Motion, The Swift, Subseven, Fed Up.